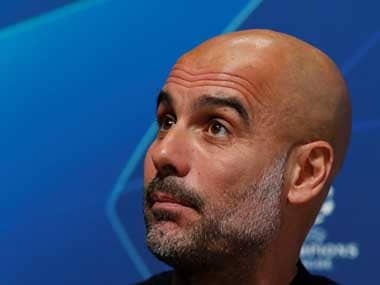 Manchester: Pep Guardiola on Friday dismissed Jurgen Klopp's suggestion that Manchester City are a team with no sign of weakness as the two battle for the Premier League title. Guardiola's City and Klopp's Liverpool appear increasingly to be the two main contenders in the title race, as the season approaches its halfway point. 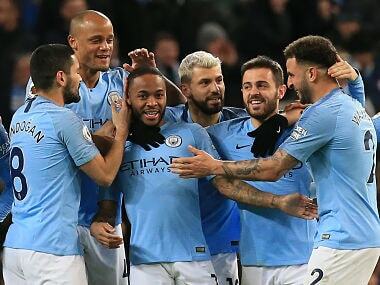 With few slip-ups from either side, their meeting at the Etihad Stadium on January 3 looks a potentially significant moment in the battle for first place -- a position held by unbeaten Liverpool going into the weekend's fixtures. Yet Klopp claimed this week that the only team that can stop Guardiola's men from defending their title are City themselves. Guardiola, though, says his team are fallible and can point to the fact that they lost their season's unbeaten league record at Chelsea this month as proof. "Any team has strong points and weak points," said the City manager. "Of course we have weaknesses. We are working on it, but that's normal. These kind of comments have to be put in perspective." 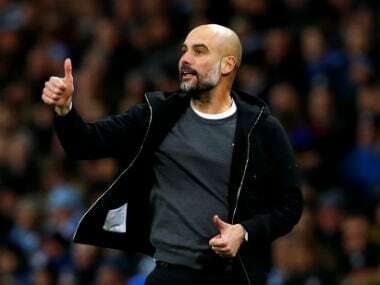 Guardiola's side, who are at home to Crystal Palace on Saturday, were a point off the top of the table before Liverpool went to Wolverhampton Wanderers on Friday. Palace are 15th in the Premier League and have collected just one point from their past six away matches. Yet they have started to climb away from the relegation zone after home wins over Burnley and Leicester. Palace have lost on all their seven visits to the Etihad and have suffered defeat in each of their past nine away games against City, a run going back to the days of Maine Road. Palace, though, did end City's run of 18 consecutive league wins on December 31 last season with a 0-0 draw at Selhurst Park, and might have won had goalkeeper Ederson not saved an injury-time penalty from Luka Milivojevic. Roy Hodgson's side deserved he goalless draw they earned on their previous visit to Manchester, against United at Old Trafford on November 24, and Guardiola is wary of players such as Wilfried Zaha, Max Meyer, Andros Townsend and Milivojevic. "They have quality players in Zaha, Townsend, Meyer, Milivojevic," he said. "They have an incredible experienced manager. I saw the game against Chelsea (on November 4, when Palace lost 3-1), and it was so difficult to attack them. "After winning 18 games in a row, you have to draw once eventually, that's normal. We played decent in the first half that day. But in the second half they were much better and missed a penalty. "Palace bring worries because of the qualities they have. They know what they have to do. Maybe people expect better results from them than they got but in every game they have more chances. "Winning against them is complicated, and tomorrow it will happen like this (and be difficult for us) if we are not completely focused." Playmaker David Silva is back in training as he recovers from the hamstring injury he suffered against Chelsea but will not be available to face Palace. 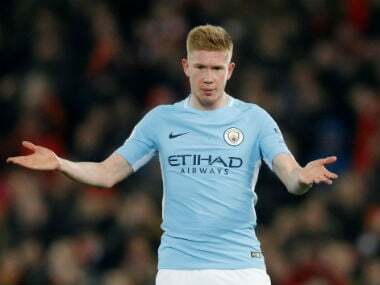 Centre-back Vincent Kompany will be absent with a muscular problem but Kevin De Bruyne could make his first league start of the season, having played and scored in Wednesday's League Cup win at Leicester after recovering from two knee injuries. Sergio Aguero, who started the Leicester match after coming back from a groin problem, will compete for a place in attack with Gabriel Jesus.